v5.0.0 with proper support for Minecraft 1.12.1 has been released. Enjoy! I upgraded my server to 1.12.1, but the plugin does not recognize the individual mob spawners with the most recent dev build #441. Is there anything I'm doing wrong or is the plugin just not updated yet? Spigot team made a breaking change regarding spawners. I'm currently investigating what's wrong. I appreciate your quick reply, thank you! Dev builds should be able to handle the new 1.12.1 version! Affirmative! That did the trick. Thanks. Server upgraded. Hello! I must say, I absolutely love this plugin, its honestly something my friends and I agree should be in the game by default, but I digress. The problem isn't that the crafting recipe doesn't work, but that when we break spawners with silk touch, it doesn't drop the egg. If I break it with a regular pick, or an enchanted one without silk touch, the egg drops. I've hit a dead end, and honestly cannot figure out what I need to change to get this to reverse. # Should the plugin automatically update if an update is available? # Should numbers be ignored (on eggs) and allow every number value? # Disable left click to change spawners, spawns a mob instead. Still blocks Vanilla right click behavior. 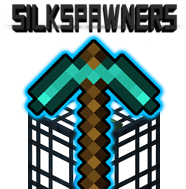 I have installed silk spawners and I am operator on my server and for some reason normal players do not get a spawner back, any tips?